Precision engraved in vibrant colors for a professional look! Colored aluminum nameplates are precision engraved for a beautiful, professional finish. 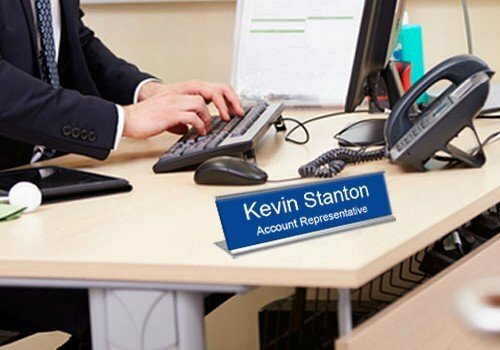 Executive brass nameplates are precision engraved on thick, colored brass. Engraved, heavy-duty, UV-Rated plastic is long-lasting and durable. 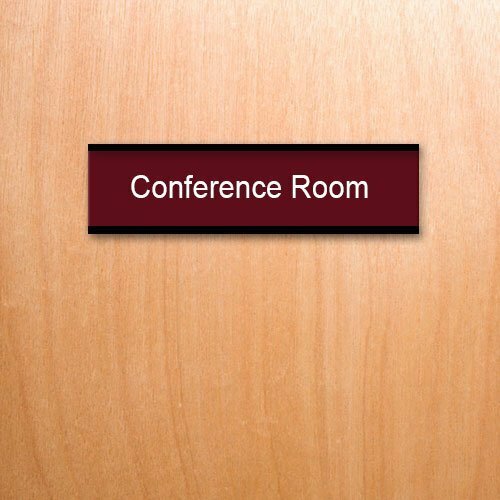 Personalized, engraved nameplates for employee desks, conference rooms, office signs, lobby directions and more. 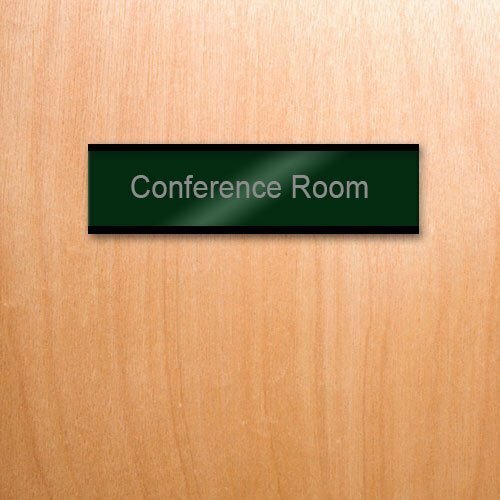 Aluminum and brass nameplates give an executive look. UV-Rated, heavy-duty plastic for long-lasting, vibrant color. 8″ or 10″-wide and 1″ or 2″-tall are made for nameplate holders. 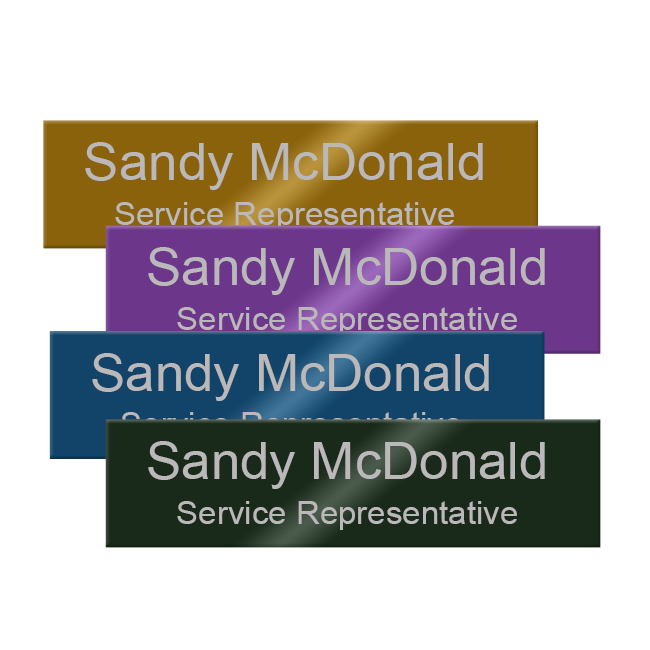 Precision-engraved, colored metal nameplates are made of heavy-duty, 0.20″ thick aluminum for long-lasting durability. Choose form 16 vibrant, elegant, scratch-resistant colors. Names are precision engraved into the colored aluminum to show the silver color of the metal. 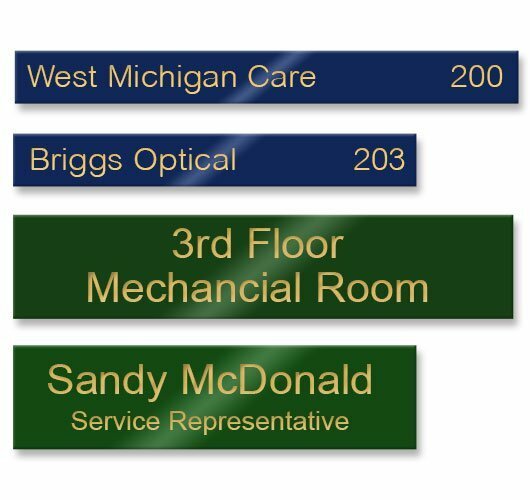 Precision-engraved, colored metal nameplates are made of heavy-duty, 0.20″ thick brass for long-lasting durability. Choose form 5 vibrant, elegant, scratch-resistant colors. Names are precision engraved into the colored brass to show the gold-brass color of the metal. 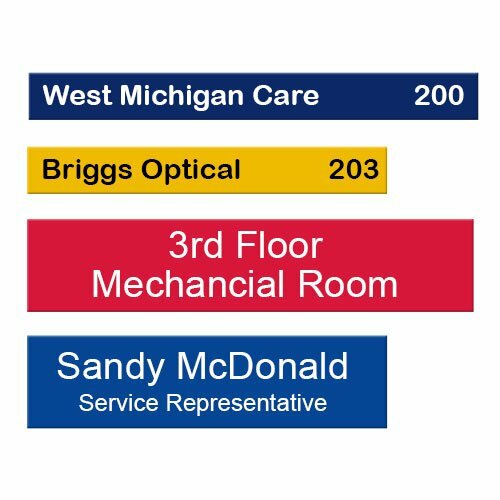 Heavy-duty, 1/16″ plastic nameplates are precision-engraved and UV-Rated for long-lasting, vibrant color. Choose form 19 color combinations for background and text. Names are precision engraved into the top layer of plastic to show the color underneath.